Can philanthropy alleviate inequality? Do antipoverty programs work on the ground? In this eye-opening analysis, Erica Kohl-Arenas bores deeply into how these issues play out in California’s Central Valley, which is one of the wealthiest agricultural production regions in the world and also home to the poorest people in the United States. 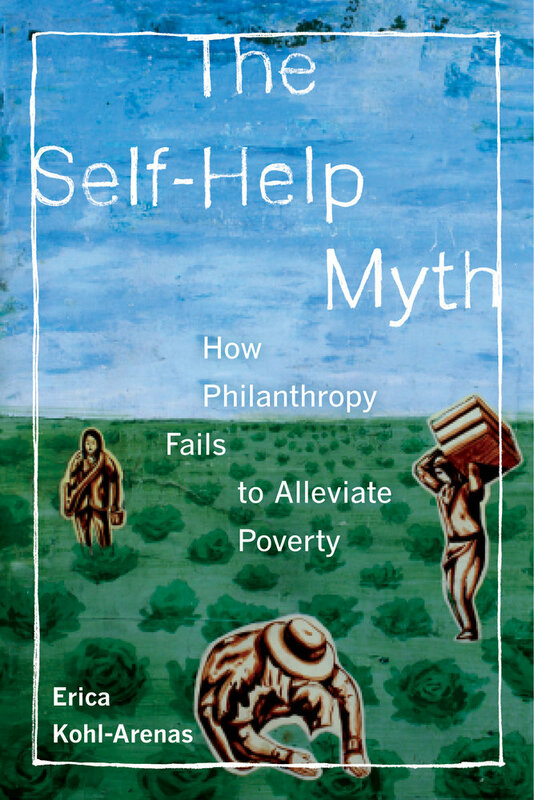 Through the lens of a provocative set of case studies, The Self-Help Myth reveals how philanthropy maintains systems of inequality by attracting attention to the behavior of poor people while shifting the focus away from structural inequities and relationships of power that produce poverty. In Fresno County, for example, which has a $5.6 billion-plus agricultural industry, migrant farm workers depend heavily on food banks, religious organizations, and family networks to feed and clothe their families. Foundation professionals espouse well-intentioned, hopeful strategies to improve the lives of the poor. These strategies contain specific ideas—in philanthropy terminology, “theories of change”— that rely on traditional American ideals of individualism and hard work, such as self-help, civic participation, and mutual prosperity. But when used in partnership with well-defined limits around what foundations will and will not fund, these ideals become fuzzy concepts promoting professional and institutional behaviors that leave relationships of poverty and inequality untouched. Erica Kohl-Arenas is Assistant Professor at the Milano School of International Affairs, Management, and Urban Policy at The New School in New York. 3. Foundation-Driven Collaborative Initiatives: Civic Participation for What?